This post updates on further changes in the public version of the ICD-11 Beta drafting platform to the listing of proposed new ICD category, Bodily distress disorder. 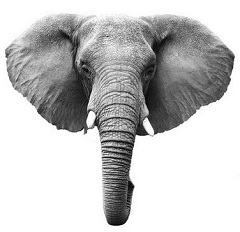 Caveat: The ICD-11 Beta draft is not a static document: it is a work in progress, subject to daily edits and revisions, to field test evaluation and to approval by Topic Advisory Group Managing Editors, the International Advisory Group, the ICD Revision Steering Group and WHO classification experts. “Sorting codes” assigned to categories are subject to frequent change as chapters and categories are reorganized. The revision of the Somatoform disorders categories has undergone a number of iterations since the release of the initial iCAT drafting platform, in May 2010. The ICD-11 Expert Working Group on Somatic Distress and Dissociative Disorders (S3DWG) is one of two WHO convened groups charged with making recommendations for the revision of the ICD-10 Somatoform disorders categories. The second group, the Primary Care Consultation Group (PCCG), leads the development of the revision of the mental and behavioural disorders publication known as “ICD-10 PHC”. The PCCG is making recommendations for the revision of ICD-10 PHC’s primary care diagnostic category, F45 Unexplained somatic symptoms/medically unexplained symptoms. Disorders included in the abridged primary care version will require an equivalent category within the core ICD-11 classification. What has the S3DWG work group been proposing? 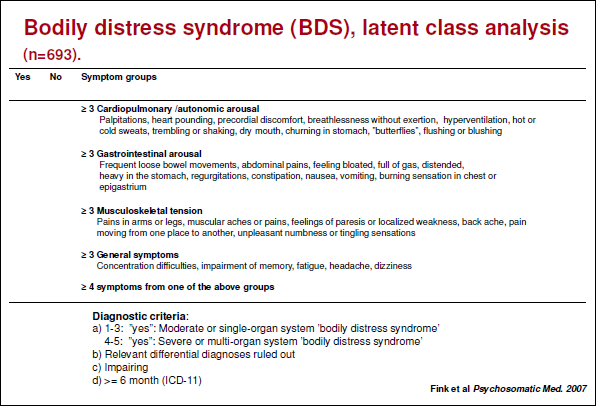 The S3DWG has proposed Bodily distress disorder as a single diagnostic category to replace all of the ICD-10 Somatoform disorders between F45.0 – F45.9 and F48.0 Neurasthenia . So initially, in the drafting platform, these ICD-10 legacy categories were removed. As the Beta draft stood in mid 2013, Bodily distress disorder had been assigned three, uniquely coded severity specifiers: Mild BDD, Moderate BDD and Severe BDD. These were then reduced to just two: Bodily distress disorder and Severe bodily distress disorder. On February 18, I reported that Severe bodily distress disorder was no longer listed in the Beta drafting platform and had been replaced with the ICD-10 legacy category Somatization disorder. I also reported that the ICD-10 category, Neurasthenia, previously proposed to be eliminated for both the ICD-11 core and Primary Care versions, had been inserted back into the Beta draft. It was unclear how these two ICD-10 legacy categories were intended to relate to a single new diagnostic category whose conceptual framework had originally been proposed to replace both of them. The Definition texts displaying for both legacy categories had been imported unedited from ICD-10 and provided no clues to the (evidently revised) proposed framework. Somatization disorder remained listed as a uniquely coded child category under Bodily distress disorder, with a definition comprising unedited text imported from the ICD-10 F45.0 classification. *Note that the “Sorting codes” assigned to categories change daily as chapters and category hierarchies are reorganized. Somatization disorder has now been removed from the Beta draft Linearizations as a uniquely coded child category under Bodily distress disorder. Somatization disorder is now listed with the ICD-10 term somatoform disorders under Synonyms to Bodily distress disorder and both ICD-10 legacy terms are listed as Index Terms. Update at June 6, 2014: The ICD-10 legacy terms, Somatoform disorders and somatization disorder are no longer listed under Index Terms to Bodily distress disorder in the Beta drafting platform or print version of the draft Alphabetical Index but remain listed under Synonyms. Both terms have been relocated under Index Terms to 6B4Z Bodily distress disorder, unspecified. The three severity specifiers for BDD, (Mild, Moderate, Severe) remain. Neurasthenia has also been removed from the Beta draft Linearizations. Nor is it listed in the PDF of the print version of the draft Alphabetical Index. This might suggest that the most recent proposal has reverted back to eliminating Neurasthenia from ICD-11, but to retain both Somatization disorder and the term somatoform disorders under Synonyms to BDD, and as Index Terms (as opposed to retaining and coding specifically for Somatization disorder under new ICD parent term, Bodily distress disorder). A Definition for Bodily distress disorder was inserted around four months ago, but there are no definitions or characterizations inserted yet for any of the three severity specifiers (BDD Mild, Moderate, Severe). The psychological and behavioural features that characterize the disorder, as per this definition, are drawn from disorder conceptualizations in the 2012 Creed, Gureje paper on emerging proposals for Bodily distress disorder. The paper described a disorder model with good concordance with DSM-5’s Somatic symptom disorder construct and poor concordance with Fink et al’s Bodily Distress Syndrome construct [1,2]. • that the ICD-10 legacy terms, somatoform disorders (F45) and Somatization disorder (F45.0), are listed under Synonyms and under Index Terms to Bodily distress disorder. Update at June 6, 2014: The ICD-10 legacy terms, Somatoform disorders and somatization disorder are no longer listed under Index Terms to Bodily distress disorder in the Beta drafting platform and print version of the Alphabetical Index but remain listed under Synonyms. Both terms have been relocated under Index Terms to 6B4Z Bodily distress disorder, unspecified. • that an ICD-11 Definition for Bodily distress disorder has been entered into the draft, the wording for which is based on disorder conceptualizations in the 2012 paper: Creed F, Gureje O. 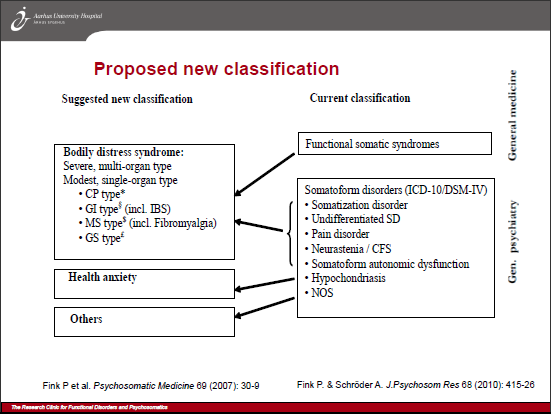 Emerging themes in the revision of the classification of somatoform disorders. Int Rev Psychiatry. 2012 Dec;24(6):556-67. Apart from scrutinizing the Definition, that is all we can safely determine about the current, proposed construct of Bodily distress disorder, in the context of ICD-11’s deployment of the term, solely from the content of the public version of the Beta drafting platform. I’ll be writing more about this Definition and the 2012 proposals by both ICD-11 working groups in the next post (Post #308). These recent changes are a good example of why the public version of the Beta drafting platform needs to be viewed with the WHO’s caveats in mind – the draft is in a state of flux, it is incomplete, it contains errors, omissions and anomalies and is subject to frequent rejiggery. The entry for BDD may undergo further changes over the coming year or so and following field trials evaluation. Note that ICD Revision staff and external editors are developing the draft on a separate, multi-authoring electronic platform called “iCAT ICD Collaborative authoring tool” — a platform considerably more technically sophisticated than the version of the draft that the public sees. In the editors’ version, more Content Model parameters display and there are tabs for change histories, category notes and discussions, and for reviews of proposals. So revisions to category chapter locations, hierarchies, internal and external peer review of proposals, drafting and revisions of textual content and rationales for these revisions can be tracked by users of the platform with editing rights or viewing access. The absence of this level of detail in the public version of the draft makes it very difficult for stakeholders to monitor changes and rationales for changes, or to account for missing or no longer displaying category terms. This link ICD-11 iCAT screencast will open a 1:55 minute animated screencast intended as a demo for iCAT users but in the public domain. It shows the iCAT platform that the Managing Editors for the various chapters of ICD-11 are developing the draft on. Note the larger number of function tabs along the top of the screen and at 17 secs in, note the larger number of Content Model tabs load under “Details for Test 1” in the category description pane, on the right. What you see in the Beta draft is a cut down version for public viewing and public interaction that omits many of the functions and much of the detail of the ICD Revision iCAT platform. To be continued in Post #308. 2. Fink P, Schröder A. One single diagnosis, bodily distress syndrome, succeeded to capture 10 diagnostic categories of functional somatic syndromes and somatoform disorders. J Psychosom Res. 2010 May;68(5):415-26. [Abstract: PMID: 20403500].